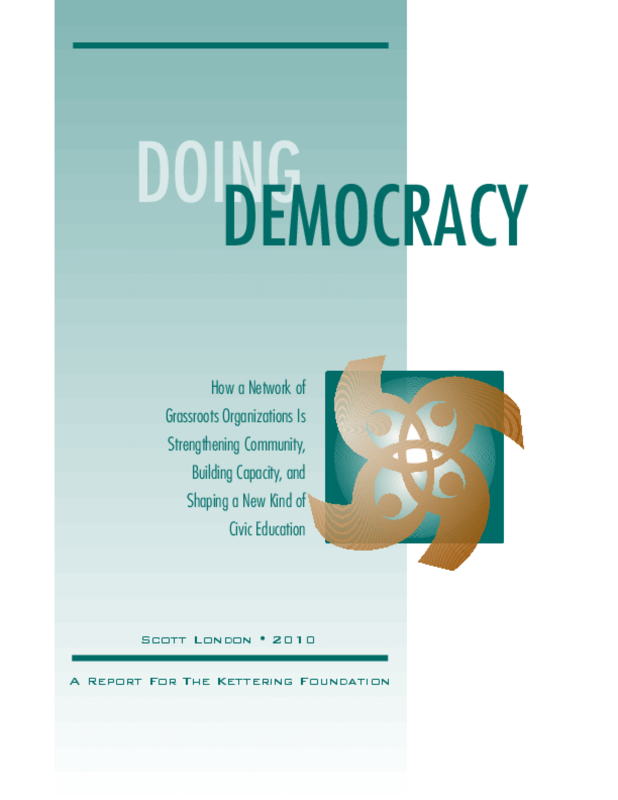 This Kettering Foundation report examines a burgeoning network of organizations that is inventing new forms of community renewal and citizenship education. Their names vary -- some call themselves public policy institutes, others centers for civic life -- yet they share a common methodology, one aimed at tackling tough public issues, strengthening communities, and nurturing people's capacities to participate and make common cause. Today, there are more than 50 of these centers operating in almost every state in the union, most of them affiliated with institutions of higher learning. Except for a handful that are freestanding, the centers combine the best of what colleges and universities provide -- civics courses, leadership development, service-learning programs, community-based research -- with the kinds of hands-on, collaborative problem solving traditionally done by nongovernmental organizations. Because they operate at the intersection of the campus and the community, their impact extends to both: they nurture and sustain public life while at the same time enriching higher education.